This landing gear leg is a spare part for the Tarot Peeper I multirotor, but it could also be used to create a landing gear for a custom build. It's not a cheap component, but the quality is very good. It's made from a nicely machined aluminium alloy and a high grade carbon fibre plate and rod. The result is a lightweight and equally very strong part, well suited to professional multirotors. 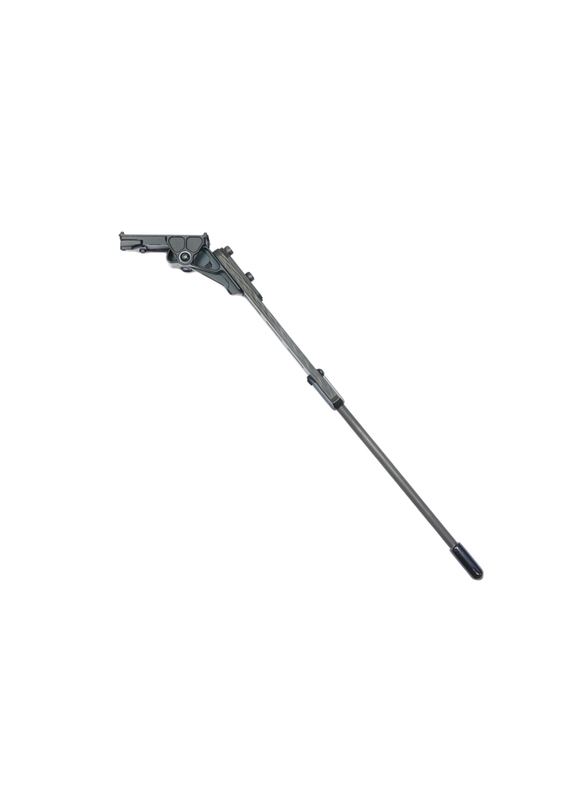 The leg provides 140mm ground clearance and also folds flat utilising a clever locking cam mechanism.